Debby Ryan -Deborah Ann Ryan was born May 13, 1993. Ryan is best known for starring as Bailey on the Suite Life on Deck .She started acting in professional theaters at the age of seven She was on the Barney: Let’s Go to the Firehouse and then was discovered in a nationwide search by Disney. In 2010, she starred in the film 16 Wishes as Abby Jensen which was the most-watched cable program on the day of its premiere on the Disney Channel and one of the most-watched movies on television. She also starred in an independent film called What If with Kevin Sorbo and Taylor Groothuis! Debby was born in Alabama and has an older brother named Chase. Her dad was in the military and The family spent time in Germany. When Debby was 10 they moved to Texas. Debby was bullied in high school for being in the chess club and the school mascot. She began getting acting roles. In 2007 she was in Barney, then she was in Longshots with Ice-Cube and Keke Palmer. She played Edith, a mean girl. She really is involved in charities especially The Ronald McDonald House and Friends for Change. Two of the times I met her were at charity events. She is also a singer and plays instruments. In December 2010, her song, Deck the Halls, was on Disney Channel and on the Search for Santa Paws DVD as an extra. Her brother Chase is in this music video! I first met Debby at a charity event in Downtown LA. It was called Inspire a Little Love. She arrived late and the event ended early. We didn’t even know she was going to be thee so it was a happy but rushed surprise! She and her mom were sweet and we took the pic. 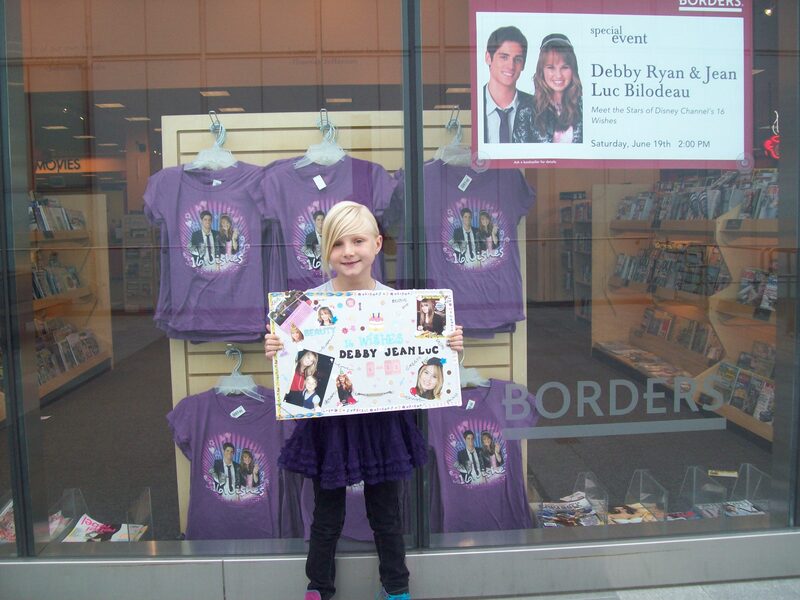 Just before 16 Wishes was coming out, Debby and her co-star Jean-Luc Bilodeau were having a signing at a Book Store in LA. My mom and I love to show our support for stars and meet them. We got there really early expecting a long line. We were the only ones there for a while! We hung out and watched the workers come in and open the store. We waited for hours until other fans arrived. As tie for the signing got close, Debby and her manager, mom, brother and others arrived. The workers told her mom that we had been there since early in the morning. As we were sitting around waiting for the signing and Debby was doing interviews in the back with Just Jared and Ocean Up Debby’s mom found my mom. She pointed at her and said, “You, come with me and bring your daughter” She took us in the back TO MEET DEBBY!!!!! Debby thanked me for being such a big fan. She asked if I was excited about 16 Wishes and thanked me for being a SUPER FAN! My mom and her mom talked a little. My mom said Debby’s mom really liked that Baily, Debby’s character is smart and doesn’t act like a typical teenage girl character on the show. 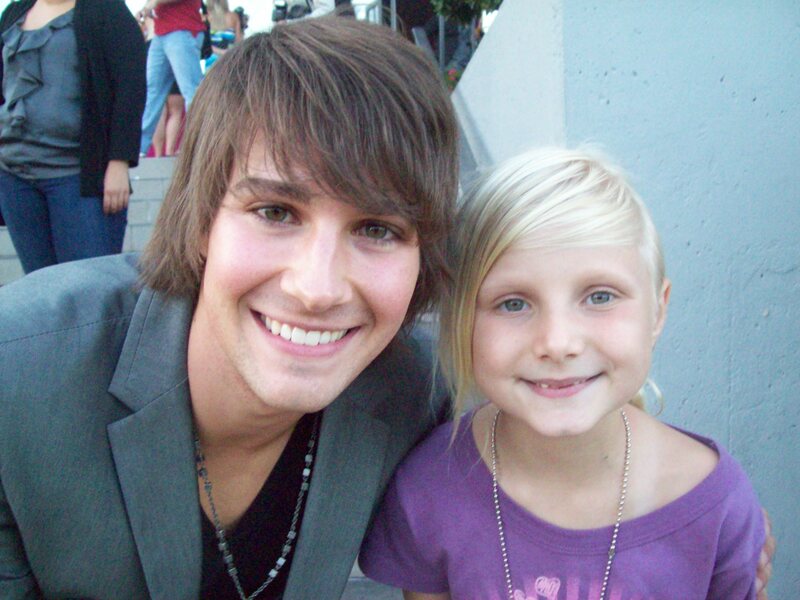 She also said that Chase was a proud big brother but hated publicity and was really shy! He worked on a song in 16 Wishes with Debby. Debby and her mom moved from Texas to help Debby with her career and Chase stayed behind for a while so that song is really special! That was really special to have that time with Debby! A while later the Q and A started then the signing. We were in the front row so we have tons of great pics. 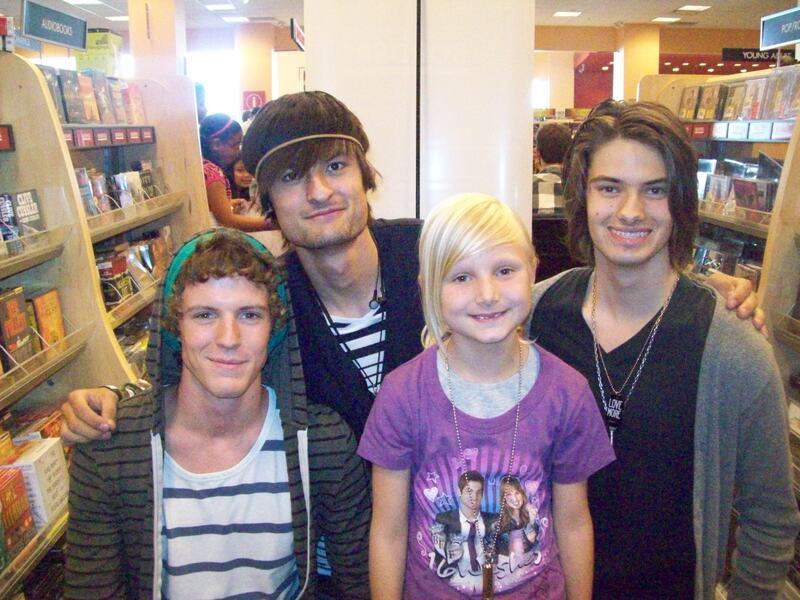 Lots of people came to the signing that day! Meeting Debby, John Luc, her mom and Brother was really special! Here’s a pic I took with Chase and his friends who are also in his band! My mom sent one of the pics I took with Debby to Bop Magazine and I was in the December issue on the fan photo page. The next week we won a contest to go to the screening of 16 Wishes at a studio in LA. I met so many stars there, MDot, Nicole Anderson, Tiffany Thorton, Chloe Bridges, James Maslow, Joey King, Bailee Madison and many others. Of course Debby, Jean Luc and Chase were there! I also some members of the cast that were there. 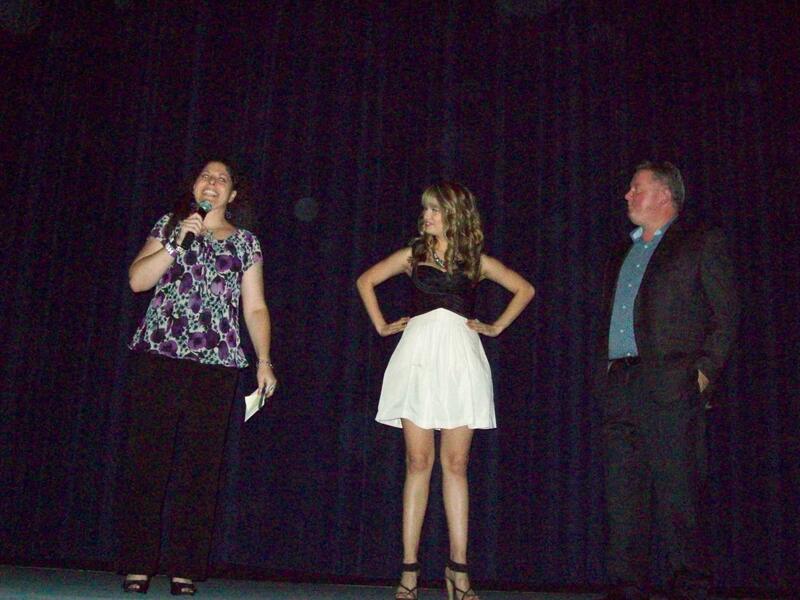 After the red carpet, we all went in and Debby was on stage talking about the experience and the movie! Then we got to see it on the big screen with all the actors, their guests, the crew, the producer, the director, etc. 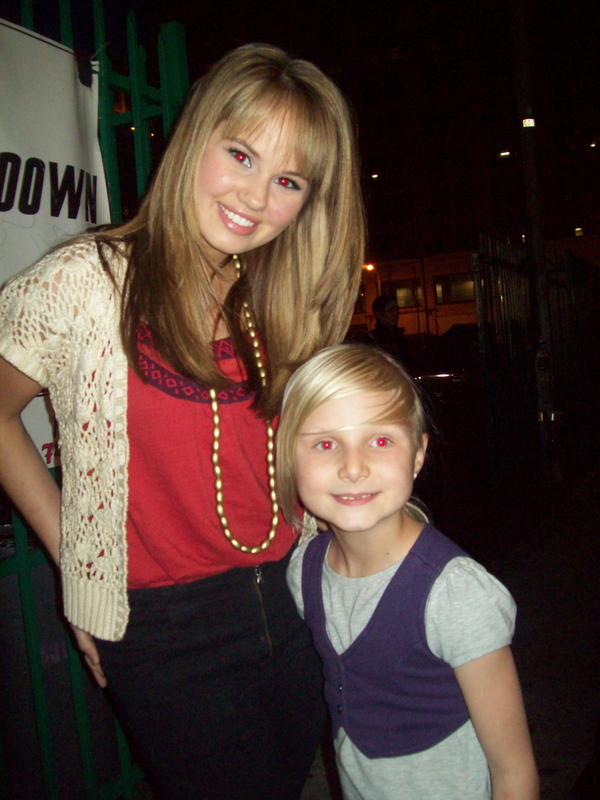 Just recently Debby Ryan had a Meet and Greet at citadel out lets. A lot of people showed up for it and she signed autographs and took pics with lots of people. She also answered questions that fans asked. I have pics and video from that day on my Flickr. I met her one other time at a charity event. I didn’t spend a lot of time with her that day, but I do have a picture with her and of her on the red carpet. I’ve met a lot of stars from Disney and Nick shows. Many are nice but Debby is super sweet! She is really humble, talented and appreciates her fans! I hope you enjoyed this blog my mom and I wrote together!